Dermatologists’ green light the use of Vitamin C Serum as an alternative to laser treatments, use of chemical peels and even surgery. Tests run on Vitamin C show that the compound contains some skin revitalizing properties. It helps the skin to produce skin collagen. Science shows that as a person ages, the vitamin C count in the body diminishes too. It is as well to avid smokers. This decrease, later on, leads to a deterioration of their skin. The skin starts to get wrinkles, fine lines, and even acne. Find more information on acne and how to prevent it read “The Best Acne Treatment” from our previous articles. Vitamin C comes from natural products such as fruits and vegetables. Vitamin C in the serum protects the skin from sun rays which are harmful to your body. Also, the serum helps to curb skin discoloration as well as get rid of dark spots and redness. 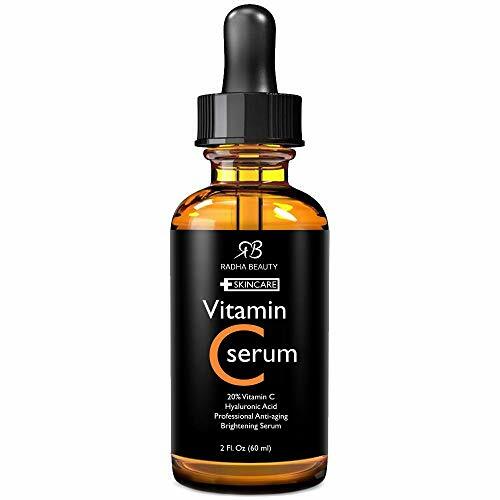 However, how do you identify a real and working Vitamin C Serum in a market bombarded with a ton of both real and fake serums? Well, we have made the work more comfortable for you. 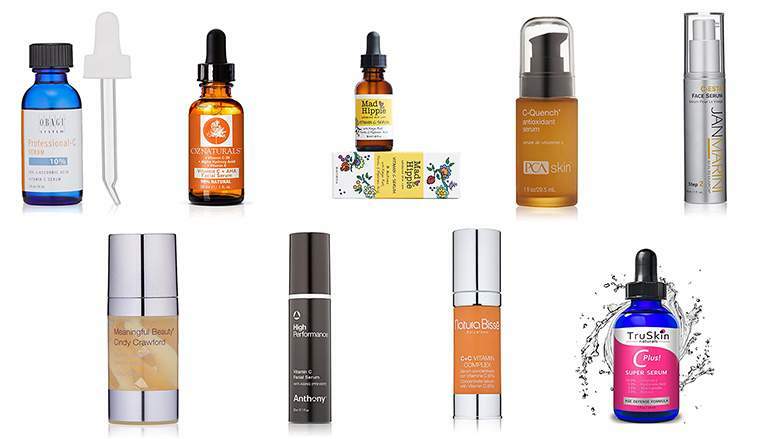 Here is a list of the best Vitamin C serums that will surely work for you. 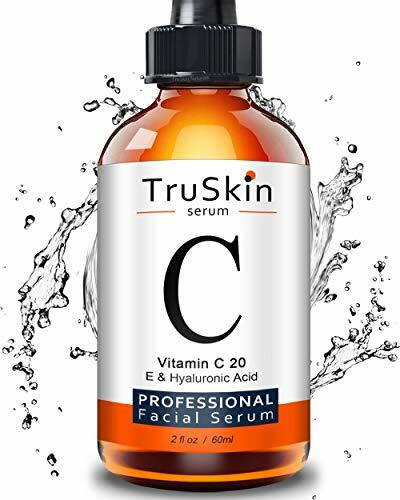 One of the most sort after serums is the TruSkin Naturals Vitamin C Serum. It is a Tropical Facial Serum with Hyaluronic Acid and Vitamin E. It naturally ranges from clear to a somewhat cloudy color. TruSkin chooses not to hide the features like colors and normal variations to maintain it as pure as possible. The product comprises of a superb Antioxidant Serum which is an indispensable nutrient, Vitamin C which is synergistically blended with botanical Hyaluronic Acid and Vitamin E making it conducive to be used by those who needs to get rid of aging signs which includes, brightness, firmness, fine lines, wrinkles, dark spots and sun spots. 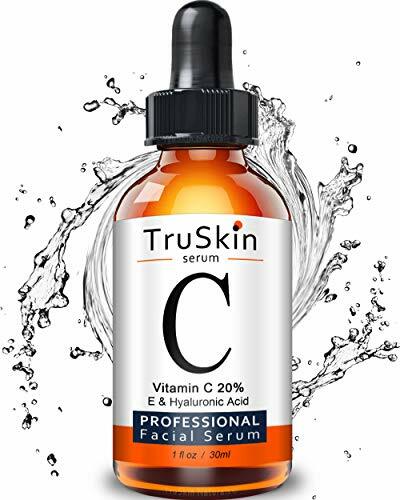 Treating the skin with TruSkin vitamin C Serum is much more appealing. The user gets a brighter, fresher looking skin with improved tone and clarity, less fine lines and dark spots. TruSkin is free of synthetic color addictive fragrance. The product is also much certified of any cruelty. By purchasing the product, you get a three months guarantee. If for any reason you find the product is not giving you the expected results you will get refunded back your money in full without any questions. After the purchase of TruSkin, it is important to first conduct a patch test for at least 24-48 hours before use. The facial serum contains active plant-based ingredients that could cause skin-irritation hence the importance. However, if it performs well on your skin, apply only 3 to 5 drops every day following it up with a moisturizer. Oz Naturals vitamin C Serum with Hyaluronic Acid consists of the highest quality of vitamin C and Hyaluronic acid. It is a fan favorite among many users. Not only does it make your face bright but it will also leave your face with no wrinkles, lines and also provide you with a youthful, admirable glowing face. The product comes with a three-week guarantee. Its effectiveness is brought about by the availability of Astaxanthin, a powerful antioxidant. No use of heat or chemical emulsification is involved as far as the formulation is concerned. OZ Naturals cold provides your skin with a more natural look than other natural skin care brands. With no traditional preservatives such as Sodium benzoate, the brand is purer and cleaner than any other. Its effectiveness to your skin is ensured with a 30-day money back guarantee given. Oz natural’s vitamin C is recommended for use daily, and it is convenient for all types of skins. Also, the Oz natural skincare is purely cosmetic in nature and should not be used to treat, cure or prevent any related skin disorders. Make a point of consulting with your physician if you have any skin-pertaining allergies before use. 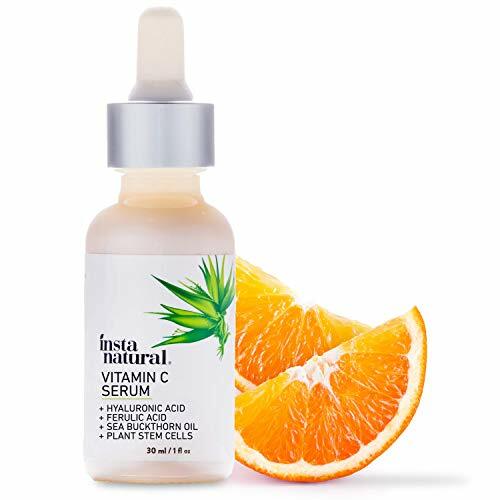 InstaNatural vitamin C Serum with Hyaluronic Acid embraces the aspect of having a safe and effective skin-care solution. The product is 100% organic and made with a unique set of ingredients that make it usable on any skin type. The serum contains Vitamin C that brightens the skin and gets rid of any aging properties. The antioxidant properties of the serum come into play due to the availability of Ferulic Acid that aids in preventing skin damage. Not only does it give the skin a younger complexion, but it also helps get rid of dark circles under the eyes. Also, it clears clogged pores and helps the skin to replenish and hydrate. The company maintains a strict policy on user safety as all the ingredients used are natural and synthetic. There is No use of any harmful component. To get the most out of the serum, first, cleanse and tone your skin before applying the serum. Then, follow it up with a moisturizer. Comprises of vitamin C, Hyaluronic Acid and Vitamin E. Even though it is gentle on the skin, the product is potent. The vitamin C works towards brightening the skin and getting rid of hyperpigmentation. In the same fashion, the product deals with any fine lines that pop up and help with the texture and clarity of the skin. It can as well work towards reducing dark circles under the eye. The raw materials used are concentrated pure plants with an active therapeutic grade to deliver a healthier and more youthful appearance hence leaving your skin looking hydrated without the use of any greasy substance. Lilyana help in promoting clear skin and also helps to do away with breakouts, therefore, introducing clearer, smoother and flawless complexion all from natural products. For better results first, you should wash and do pat skin to skin too, use the dropper and apply a small amount in your hand, therefore, use your fingertips to apply the serum to entire face, neck or décolleté, leave it dry. Then, follow up with a moisturizer. 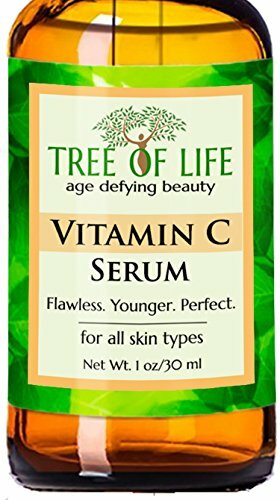 If you are looking for young looking skin with a vibrant glow, the Tree of Life Vitamin C serum is what you need to acquire. This product comes after thorough research with highly sort after ingredients and formulations that indicate to help the skin in maintain its youthfulness. The creator Elly Davis, not only wanted to cater to the aging but also to those looking to preserve their youth. The bottle contains 20% of Vitamin C which is proven by scientists in providing skin care properties. Even with no cure for wrinkles, Vitamin C does an excellent job at diminishing them. However, it would help if you used the serum to achieve notable results consistently. Ellyn Davis comes up with the product in question when he is trying to search for skin products that will work on her skin and bring the desired results she was after. People have in a long time used Vitamin C as a skin care ingredient because of its highly effective and also it’s incredibly affordable whereby it’s highly known for its ability to make the skin look smooth, softened and eradicate age spots, sun damage and fine lines hence helping to maintain the youthful look and feel. Hyaluronic Acid is used into the product thus making the serum have long lasting results and enhance moisturizing for those experiencing dryness of the skin. All the ingredients are 98% natural and 72%organic. Some of them include Jojoba Oil, Vitamin E, Witch Hazel, and Botanical Hyaluronic Acid. All of them seen to help your skin fight for dark spots, fine lines and also wrinkles despite your age whether to aging sighs are visible or not. By combining chemical products that are well known and natural products, the Mad Hippie is an effective yet gentle to the skin. Entirely different from any other serum in the market, the Mad Hippie contains Vitamin C in the form of Sodium Ascorbyl Phosphate. This compound is more stable and has less oxidation risk than the L-Ascorbic Acid in most skin regiments. Being a powerful antioxidant, Vitamin C helps in getting rid of wrinkles and skin discoloration. Vitamin E – acts by protecting against the sun’s UV rays. Also, it carries some healing properties. Ferulic Acid – by working together with vitamin C and E it prevents the formation of radicals and provides photoprotection. Hyaluronic Acid – helps in making the skin hydrated. It draws moisture from the atmosphere. Konjac Root – provides the skin with nutrients while at the same time softening and smoothening them. Chamomile Extract – helps in providing a cooling effect to the skin. Clary Sage- Helps to tone the skin. It provides much use to users with overly dry or oily skin. Vitamin C Serum for the face with 20% with Hyaluronic Acid and vitamin E respectively. This product makes the skin look brighter, tighter, smoother and more critical look clearer for a youthful glow. A mixture of vitamin C, Hyaluronic Acid and vitamin E is highly effective at reversing the effects of environmental damages on the skin. Amara also reduces wrinkles, brightness the skin and evens the skin tone. The product is so much friendly to the skin with no irritation effects on it therefore suitable for all skin types. It contains non-harsh chemicals and no artificial colors; You are advised to use the Vitamin C Serum in the morning and night hours to get good results. There is a cash back money guarantee on the product in case it does not work to your expectations. Amara beauty is suitable for prevention for breakouts, shrinking pores and getting rid of wrinkles. It also absorbs quickly without leaving any greasy or sticky residue over your body. 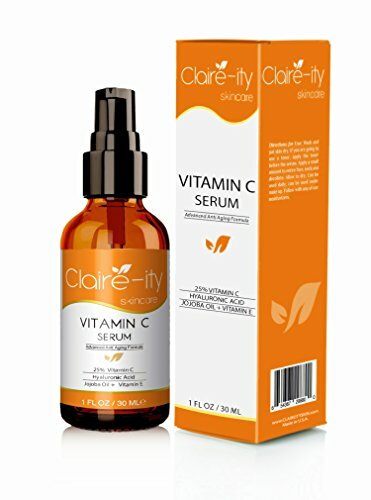 This product contains Vitamin C Serum plus 2% Retinal, Niacinamide, Hyaluronic Acid, Vitamin C –skin clearing Serum –anti-aging skin repair, supercharged face serum, the anti-aging serum contains antioxidants that help to protect the skin against dangerous UV rays which are harmful to the surface. 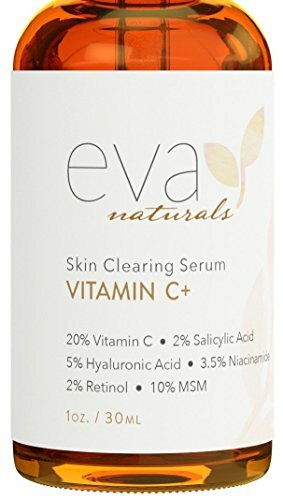 Hyaluronic Acid is included in the production of Eva Naturals to get rid of aging signs which are shown by wrinkles, sun spots and dark spots on your skin. In curating the formula, Niacinamide is included to help you do away with acne and other skin conditions hence reducing inflammation naturally. For instance, pores on your face once they get clogged they will undoubtedly become more significant and more visible therefore the formulation introduces Retinal which cleanses the pores thereby making them smaller. Despite the high price of the product, it is worth the money as it leaves your skin glowing and brighter without any wrinkles, black spots or sunspots. Eva natural is naturally pure therefore while using our product you should be confident that the product has no side effects on your skin. It is conducive and satisfaction guaranteed when used accordingly for useful results. Although this is a concentrated and powerful serum, you are recommended to first perform a test on a small area on your skin to make sure the formula is fit for you. If it is right for you then can wash your face and neck and use a moisturizer after that. Comprises of Organic Vitamin C+ E+ Hyaluronic Acid for Anti-Aging, wrinkles, and fine lines for Radiant and healthy skin, the formula comes with a packed dropper for ease of use. Radha beauty will help you to reduce wrinkles, refine skin texture and fade acne scars or discoloration. The formula will leave you with a glowing and youthful skin look. The product does not contain alcohol or sulfates therefore safe for all skin types. It works best on those who want to remove sun spots or dark spots on their skin hence proving that Radha Beauty formula is one of the best products that will provide and do wonders on your skin. There is a 100% money back guarantee whenever you find the product inadequate to your needs. To use appropriately, first, cleanse your skin, then apply some drops of the Radha serum. Rest for a minute or two then apply your favorite moisturizer. You may require to use a sunscreen after us since he the serum may lead to sensitivity to the sun rays. Several skin care products in the market can work great magic on your face. The biggest problem, however, is that these products do not cover all the skin problems you may have. It leads to overspending on different kinds of beauty regiments. So how do you make the choice easier? The main compound you should look out for in the ingredients list is Vitamin C. this compound has been labeled by many as the all-cure skin care remedy. From fine lines to dark circles under the eyes and even protection from the sun. Vitamin C is said to work magic on the skin. 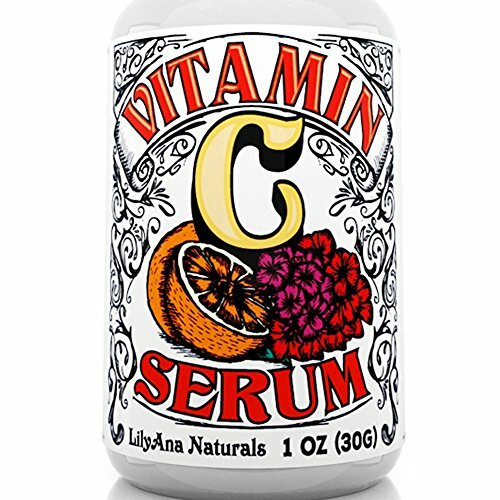 What makes the best Vitamin C Serum? Choose a serum with a high percentage of vitamin C. This is so that you may boost your collagen levels and enable the skin to rejuvenate. Additionally, choose serums that come in opaque and airtight containers. It is because vitamin C easily disintegrates over time once exposed light, heat, and air. Try out the different derivatives of Vitamin C and see which one works for you. There are a number of them, including sodium ascorbyl phosphate, Magnesium Ascorbyl Phosphate, and Ascorbic acid. 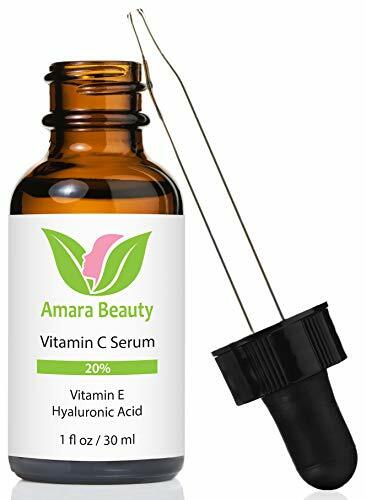 Vitamin C serums with Ferulic Acid are good as well as it helps the vitamin to stabilize and provides a good pH level. 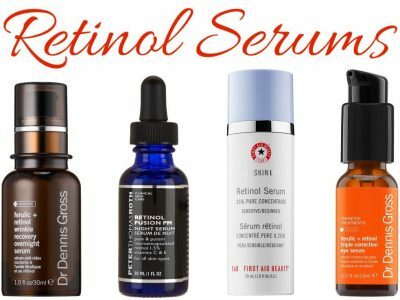 Serums with hyaluronic acid are best for dry skins. Hyaluronic acid helps to moisturize the skin. 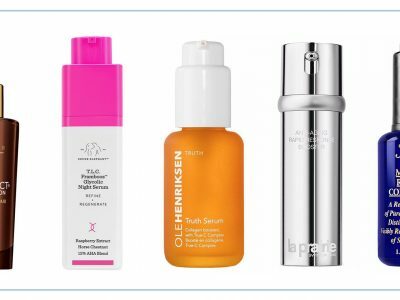 By using the above-listed Vitamin C serums, you protect your skin from oxidation-related damages. Also, you cannot only slow down your aging but also reverse it as the skin gains the ability to hold onto fluid. You have every reason to stop wishing and get that younger looking and glowing skin. 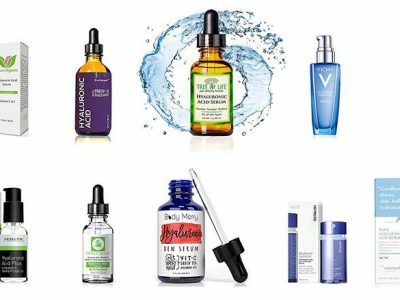 Regardless of the price tag, these Serums are worth every penny. However, the Serum will not matter if Vitamin C does not have a 15-30% range. You can learn more about other ways to take care of your skin by reading our other articles.